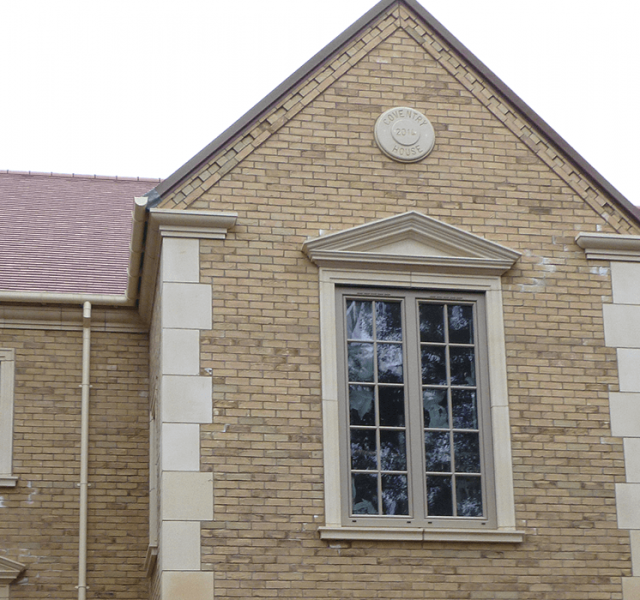 Newdigate Builders are a successful building company, who have been in business for over 30 years and is owned by Dave Coventry. Dave has always had a dream to buy some land a build his own home. 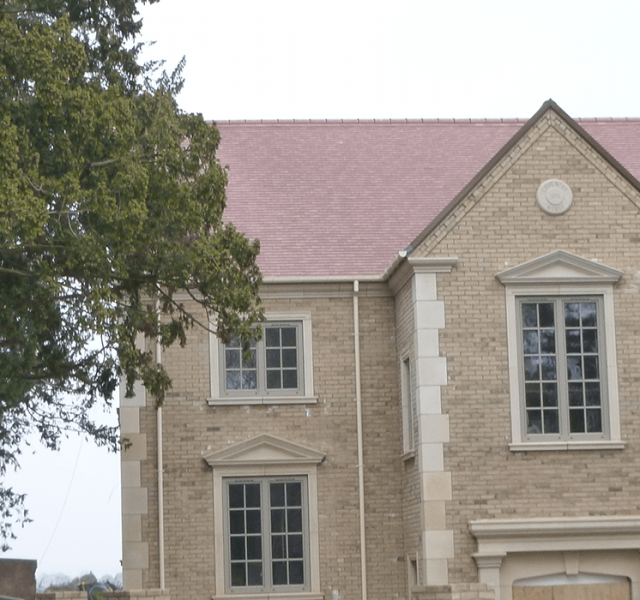 His dream became a reality when he purchased some land and built an expansive 6 bedroomed property, complete with basement, garage and sun rooms. Dave is an existing customer of ARP, so was aware of the quality of products ARP have in their portfolio. 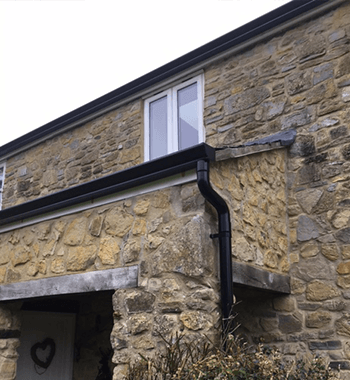 Dave has seen first-hand how upvc can fail and wanted the best possible materials for the rainwater system on his new home, so he got in touch with Nigel Hancock, Area Sales Manager for ARP. 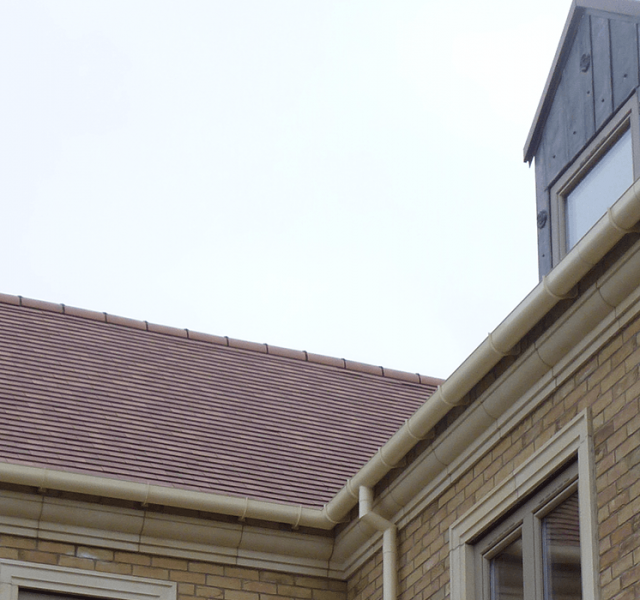 Nigel visited site in Claybrooke Magna and carried out a full site measure, taking into account the roof size and material to ensure that the system selected would deliver the desired result. 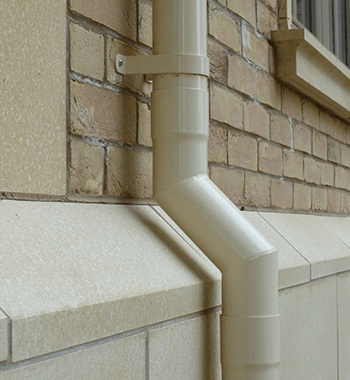 Nigel then quoted for 125 x 100 Sentinel Deepflow Gutter and 76 mm Colonnade Swaged Rainwater Pipes. 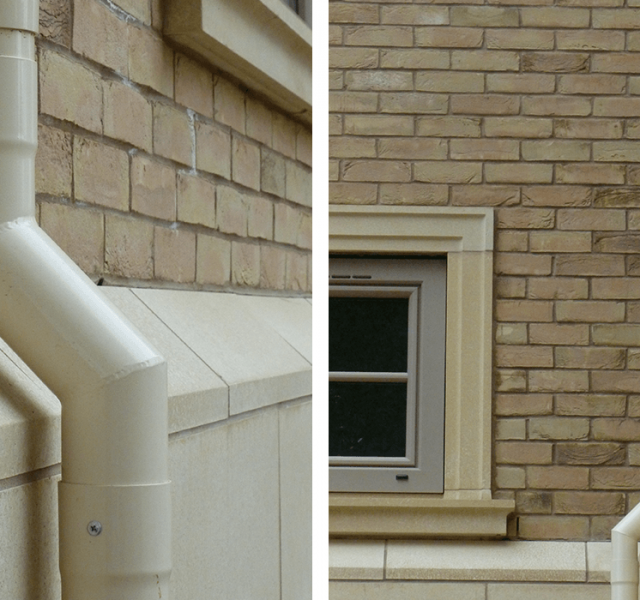 As this was a new build, Dave wanted the gutter and downpipes to blend in with the stone accents used in the building of the property. 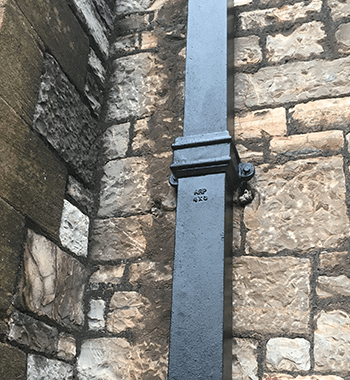 ARP have their own in-house polyester powder coating facility and matched the colour to the stone being used in the build. Dave placed his order by return and ARP production swung into action to fulfil the order. 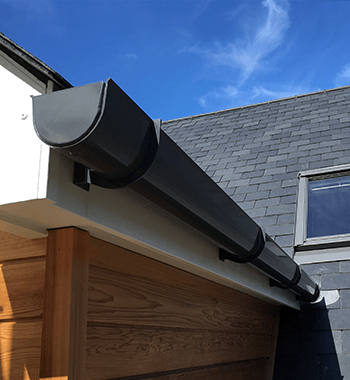 Aluminium products are ideal for self-build properties such as this, as aluminium is one of the most widely available elements in the world, it is non-corrosive, long lasting and requires little maintenance. 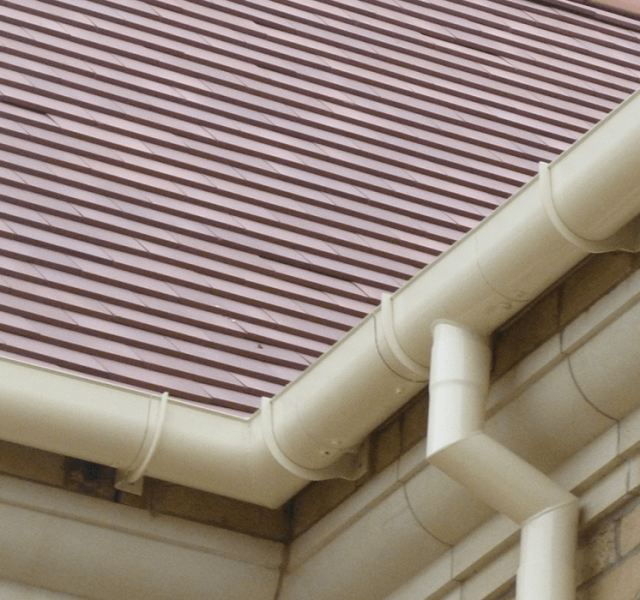 Being fully recyclable, it can be further recycled once it reaches the end of its useful life and unlike the plastic alternative, will last for many years, giving home-owners the peace of mind of a quality product.